Healthcare translation can be complex. Why provide translation as part of a language services strategy? When is translation required for patient care in the United States? Who may perform translations within the healthcare industry? 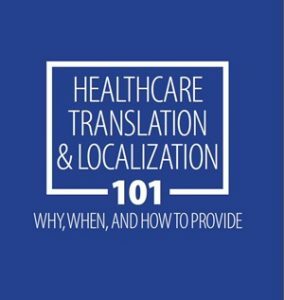 How are translations provided to limited-English patients as a component of patient care? Complete the form below to access this useful resource.